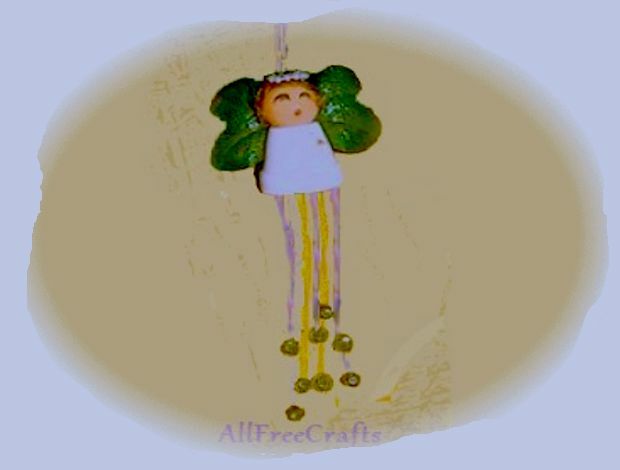 If you like wind chimes with a subtle sound, then this clay pot angel wind chime will fit the bill. It uses small brass bells, rather than metal rods, to provide a light musical tinkle when the ribbons are caught in the breeze. We suggest hanging it indoors, near an open window. 1. Paint the terra cotta pot with white glitter paint, or acrylic paint in the color of your choice. If desired, sprinkle the acrylic paint with fine glitter while the paint is still wet. 2. Paint the wooden bead in skin tone colors and let the paint dry. Use permanent markers to draw on eyes and mouth; practice first on a piece of paper to get a look that you like. 3. Apply a sealer to the painted surfaces of the pot and bead and let dry. 4. Cut thin ribbon into four different lengths, so that the ribbons will hang from the pot in staggered lengths, separating the brass bells. Slip one bell onto each ribbon, sliding it up a few inches from the bottom, then add a second bell at the bottom of each ribbon. Thread all four ribbons through the inside of the terra cotta pot and up through the center hole of the pot, then through the hole in the wooden bead. Knot all the ribbons together and cut off the excess. 5. Glue a looped piece of ribbon to the top of the head. Glue doll’s hair or moss to the top of the bead and let dry. 6. Glue two artificial leaves to each side of the head, then glue on a small silk flower at the back, to hide the stems. 7. 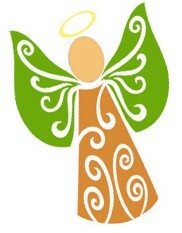 Make a small circle of string pearls and glue in place on top of the head as a halo. 8. 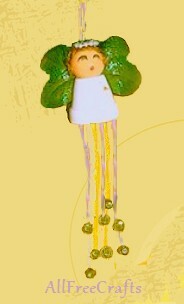 Hang the wind chime where it will catch a little summer breeze – and enjoy!